DIY Coconut Oil Face Cream Recipe | Non-Greasy & Only 3 Ingredients - beautymunsta - free natural beauty hacks and more! Do you know how easy it is to make your own face cream? This DIY coconut oil face cream recipe uses just 3 ingredients but it’s so luxurious! Check it out! But if you want to boost your coconut oil moisturizer, try adding a few more nourishing ingredients such as vitamin E and essential oils! 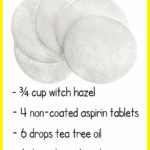 In the recipe below, I’m using tea tree oil because it is a disinfectant plus helps tighten skin and prevent breakouts. You can use any other essential oil of your choice, though! 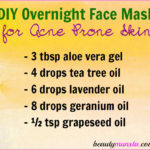 Try lavender for sensitive skin, geranium for skin beautifying and frankincense for anti-aging! Scoop your 3 tbsp of creamy coconut oil into the amber glass jar. In case your coconut oil is hard, pop the jar into a bowl of hot water to soften up. We’re using an amber glass jar to protect the coconut oil face cream from light degradation. Now pop the vitamin E capsule with a safety pin and squeeze out the oil into your jar. 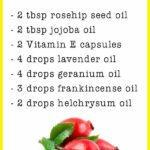 Lastly, add the drops of tea tree essential oil. Using a clean spoon, stir all the ingredients together to form a silky white cream. Massage a tiny amount on your clean face after cleansing it and patting dry. 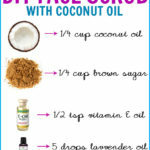 Remember, a little goes a long way with this DIY coconut oil face cream, so use a small amount to avoid looking cream. This coconut oil face cream is suitable for normal skin, dry skin and mature skin. If you have acne prone skin, then it’s best you take away from using coconut oil as a face moisturizer because it may clog up your pores! 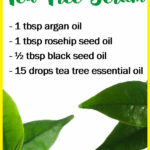 Instead of tea tree essential oil which I added for its anti-bacterial properties, you can use any of your fav essential oils like lavender oil, geranium oil, frankincense oil, etc. Do not get water into your DIY coconut oil face cream. Use only clean fingers to dip into the face cream to prevent contamination. 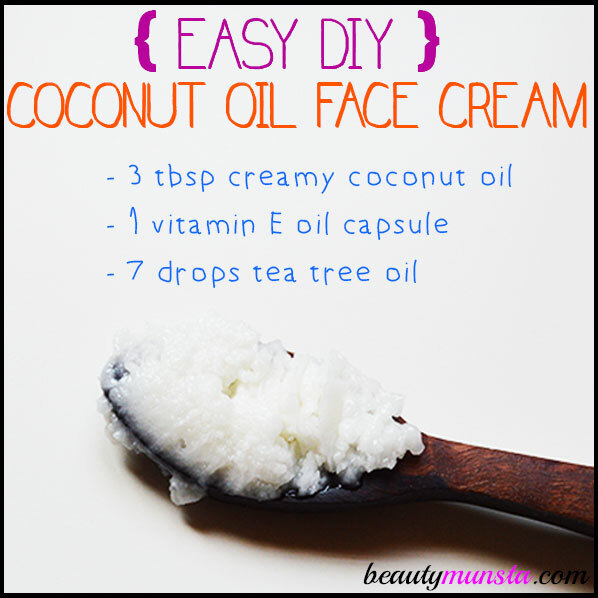 Don’t forget to share this easy DIY coconut oil face cream recipe with everyone you love!